Its mission is to increase the number of U.S. citizens learning, speaking, and teaching critical need foreign languages, and Chinese (Mandarin) is one of them. 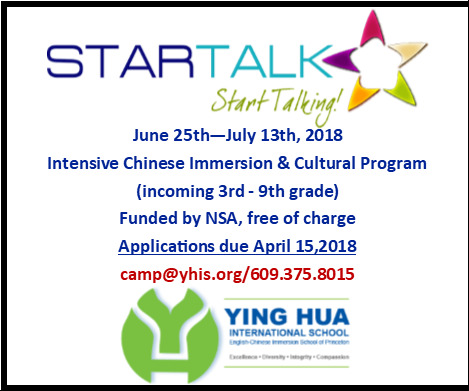 STARTALK offers students and teachers of these languages creative and engaging summer experiences that strive to exemplify best practices in language education and in language teacher development. Last year, YHIS was able to successfully run a 3-week summer program and they have increased the number of spaces for the student program in order to accommodate increasing demand. 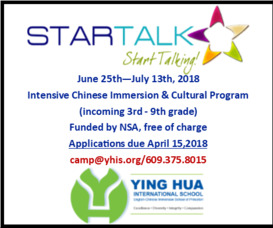 Yes, your child can START TALKing in Chinese!